Discounts and Clubs – A pence saved, is a pence earned. The historic Borough Market is just a stone’s throw from The Barrowboy & Banker. This area is where the old barrow boys used to ply their trade. They probably sold much the the same kind of produce that’s sold there today. 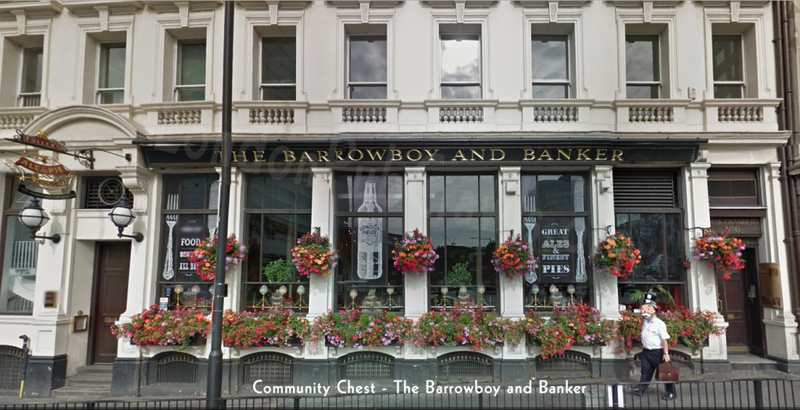 The Barrow Boy & Banker was originally the first branch of the National Westminster Bank. You can still see many of the original features such as the large windows and double height ceiling. Beneath the bar is a labyrinth of existing bank vaults, which we now use to store and condition all of our beer. The Barrowboy & Banker is known as an Ale & Pie House. They have this fantastic sampler platter with pies and ales for £14* and it’s well worth the price. I suggest eating here before crawling on. Great food! Strangely enough, you can still invest your money here! Enter your email address to subscribe to this blog and receive notifications of Crawls and update on or app.